During the summer, before the paddy is sown, adivasis in Chhattisgarh often subsist on the small animals and birds they trap in the jungles. On April 11, five men from Bade Gudra village, about 70 kilometers from Dantewada town, went into the Iddesmetta forests that border their village to try to trap a shahi murga, a large rooster that could feed a dozen people. The men dug a hole, covered it with a net and camouflaged the trap with dry leaves and sticks. “We saw a rooster walking towards the trap,” said Chula Kartam, 55, a resident of Bade Gudra. “But before it reached the net, about four dozen armed soldiers reached the spot.” According to two witnesses, the security men began to shout in Gondi and attacked the five men. They fired at them, leaving one man severely injured. Another man, who managed to escape, told his neighbours what had transpired. In a short while, the security forces came to the village and randomly picked up three other men. Six of the men, Unga Sori, Unga Kartami, Unga Pudiyami, Kosa Pudiyami, Katti Pudiyami and Raju Manda, are under arrest. Kartam Pandu, 25, managed to escape from his bed in the Civil Hospital in Dantewada even though he had been shot in the leg thrice. He has been missing since. Ranchi: Maoists have torched 35 vehicles in the past five months in Jharkhand, hampering the state government’s efforts to woo investors and develop infrastructure. The violent attacks by the Maoist guerrillas have created panic among the contractors involved in construction work. The state police with the help of paramilitary forces have destroyed many bunkers and recovered more than 2,000 landmines planted by the Maoists in different parts of the state. Police claim to have hit the backbone of the Maoist guerrillas in last one year, but the guerrillas make their presence felt by demanding levy and torching vehicles. The TRS government should restrain itself from stifling peoples’ fundamental rights and their right to debate on issues concerning them, said noted human rights activist G. Haragopal. Addressing a public meeting organised by the Telangana Democratic Forum (TDF), he said formation of separate Telangana was made possible with the involvement of people in agitations such as Sagara Haram, Million March and other programmes. The same party that mobilised people was now curbing them from getting together to fight atrocities against Adivasis, Dalits, women and minorities and that was strange, he said. Prof. Haragopal was referring to police denying permission to the TDF’s meeting here. The meeting was held after the High Court gave permission for the meeting with certain conditions. Mild tension prevailed at the venue with a large number of police personnel keeping an eye on the movement of people who had come to attend the meeting. Prof. Haragopal decried the denial of permission to hold the meeting and not allowing revolutionary poet Varavara Rao to address the gathering. It was undemocratic, he said adding that the restrictions imposed by the government have made the meeting a great success as it attracted much public attention. He objected to the contention of the police that Maoists would attend the meeting. The meeting was aimed at discussing exploitation and attacks on laks of tribals in Chhattisgarh and elsewhere by the police and Central paramilitary forces. Speakers at the meeting said that leaders of various political parties spoke in favour of the naxal movement and after assuming power, they targeted the same naxals who enjoy public patronage. “Right from NTR, YSR and KCR too hailed the naxal agenda. What happened to that after coming to power”, he sought to know. Prof. Haragopal said that innocent Adivasis living in the forest area of Chhattisgarh were only asking the government to let them live. They do not want to be displaced in the name of development or law and order. But the multi-national companies were prevailing over the governments and people should fight it. “The Operation Green Hunt emerged from the USA to displace local tribals and the same is being adopted here in India,” he pointed out. TDF leaders C. Narayana Rao and B. Ravindranath addressed the meeting. Varavara Rao, Delhi University professor G. N. Saibaba and a host of TDF leaders attended the meeting. 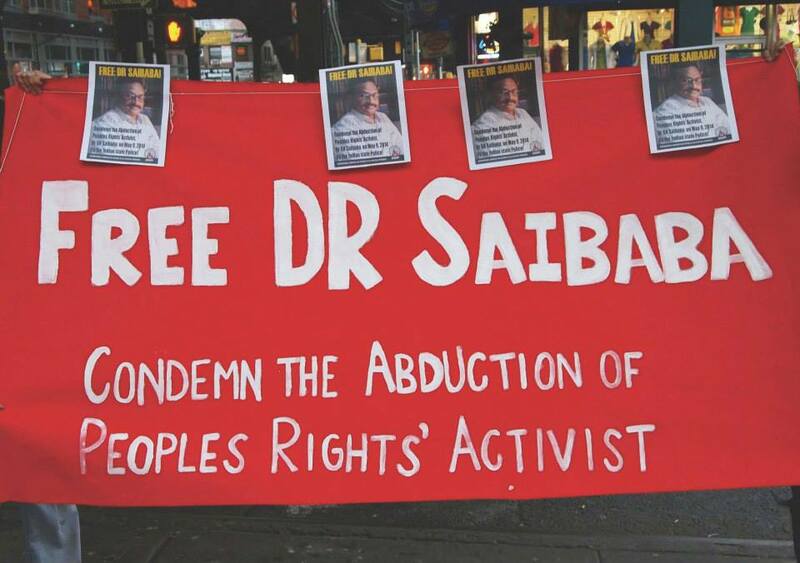 support the struggle of political prisoners in India! Great injustice has been caused to Maoist political prisoner Gour Chakraborty (78) lodged in a West Bengal jail since 2009. He got bail on all cases against him except one at Bankshall Court, Kolkata. Hearing of that case was also finished ages ago. The judge declared date to give her verdict. Everybody was ready and curious to hear the verdict as it was the first UAPA case in the state. It was much before the election date was declared. But much water flowed through the Ganga after that. The day of verdict never came. The judge announced date after date through months to pronounce the verdict. But finally she left Bankshall Court without giving the verdict on Gour Chakraborty’s case, whose hearing was completed. She left as she has been transferred to some other court. Now, a new judge has taken charge of the case and said she has to hear the case afresh. Two dates have passed. She heard the case afresh. A third date has been fixed. No one can say how many dates she will take to give the judgement. A deep sense of frustration now pervades all the political prisoners including Gour Chakraborty. On May 14, starting from 6 am, Maoist political prisoner Arnab Dam (Bikram) has gone on a hunger strike in Presidency Jail. Arnab had petitioned the jail authority to learn computers while in prison. He was turned down, despite the fact that regular prisoners are trained in computers in jail. The jail authority is unwilling to follow the directives of the Medinipur Court in this case. Arnab is demanding that like other prisoners, he too has to be given the opportunity of learning computers. Kolkata High Court has refused to give back Political Prisoner status to CHATRADHAR MAHATO & others. Earlier, Kolkata High Court had granted them Political Prisoner status when they were under-trial prisoners. Now they are refused on the ground that their status has been changed to “Convict” and respective law has been changed by Mamata Banerjee Government. One year has passed since Chatradhar Mahato & five other popular activists Raja, Prasun, Sukhsanti & Sambhu were convicted with life imprisonment by a trial court of Medinipur. It was decided by all mass organisations & activists jointly to fight the case at High Court. Accordingly an appeal petition has been filed in Kolkata High Court within stipulated date. The court accepted the appeal & asked the government to file affidavit in opposition. Subsequently bail petitions were also filed for all the convicts. Not a single hearing has happened yet. Reason? Not known. In the meantime Chatradhar, Raja, Prasun, Sukhsanti & Sambhu Soren have completed one year of their life term as convicts and seven years of jail in total. Their political prisoner status has also been snatched. No ray of hope in sight. Kolkata High Court will soon be closed for summer vacation. Maoist leader Kobad Ghandy, who was booked by the Patiala police in 2012 for allegedly delivering a lecture promoting the Maoist ideology at Punjabi University, Patiala, under a fake identity, was produced before a local court today. The next hearing in the case is scheduled for May 27. An FIR was registered against 66-year-old Ghandy and another person, Manoj, alias Rajesh, at the sadar police station, Patiala, under Sections 10, 13, 18 & 20 of the Unlawful Activities Prevention Act and Sections 419 and 120-B of the IPC in the case. Ghandy, a politburo member of the banned CPI (Maoist), was arrested in September, 2009, in Delhi following a joint operation by intelligence agencies and the police. Since then he is behind bars. Later, his bail plea was rejected by the Punjab and Haryana High Court. Ghandy had pleaded innocence on the grounds that he was booked by the police for promoting the Maoist ideology at Punjabi University in April 2009 but at that time the CPI (Maoist) was not banned. The CPI (Maoist) was banned on June 22, 2009, he argued. Icspwi salutes the success of International action’s week in varius countries in the world. It is important that many workers, youngs, women, people have directly partecipated with the spirit of international solidarity with political prisoners in the jails of the Indian Modi’s regime. It is important that many maoist, revolutionary, antimperialist organisations have organised different kind of actions according to the conditions and the level of the possibility in every country. A bulletin will be realised in this month with reports and infos.. The wind of this IAW arrives in India and the Indian people envolved in revolutionary struggle and in the the war’s people is incouraged in his epocal struggle for a New Democracy Revolution. Now it needs that the initiatives continue particularly against Green Hunt and Aerial attacks against people. In some Universities in Europe advances the ICSPWI proposal to invite Indian democratic representants of association and people’s organisation in the next months. It needs in the same time to develop analisis of concret situation for preparing a new wave of the international support, for extending mass mobilitation against Indian regime and imperialist states that have strict relation with Indian regime. It needs an antifascist and antimperialist alliance with all that are availables in this new wave. Other new proposals can be sent to ICSPWI that will send them to all solidarity mouvement. 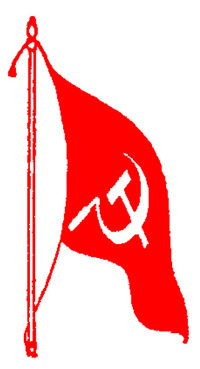 The east division committee of the CPI (Maoist) has called bandh on May 16 in protest against what it called the “killing” of one of its top leaders and Galikonda area committee secretary Azad and committee members — Anand and Kamala — in the Marripakala forest area near Palasamudram of Koyyuru mandal on May 4. The committee, in a press release despatched to reporters in the Agency area, alleged that the Greyhounds, on information provided to the Special Intelligence Branch by “anti-people” elements, surrounded the party members and shot them dead. The party further alleged that the Narendra Modi and Chandrababu Naidu governments intensified the phase three of ‘Operation Green Hunt’ soon after coming to power with a view to handing over valuable mineral wealth to the corporates. “The governments do not want the Maoist party to survive since it is leading the Girijans in their struggle to protect the forest wealth,” the press release said. The TDP government intensified police combing in the Agency to scuttle the agitation of the Girijans against bauxite mining and taking over of the coffee plantations. Two Girijans were killed on February 23 at Puttakota and 24 youths branded Maoists sympathisers. The two incidents adversely impacted 12 families of the Jerrela area, which had to leave the village and fertile land unable to bear police harassment, the press note alleged. The party’s support to the Girijans would continue till their demands were achieved, the release said. Visakhapatnam: Maoists have called for an East Division bandh on May 16 in protest against the killing of Galikonda area committee secretary Gopal alias Azad, Anand and Kamala in Marripakalu-Palasamudram area in Koyyuru mandal on May 4. According to them, there was no encounter and that the three were shot dead in cold blood by Greyhound personnel. In a press note on Wednesday, the East Division Committee of the Maoists urged the people of Visakhapatnam Agency and parts of East Godavari to support the bandh. The note claimed that Azar and two others were shot dead by personnel of the state special intelligence bureau (SIB) and Greyhounds. The note warned of retaliation against the TDP government and Greyhound cops for what it called regularly staging false encounters. The Reds claimed that these killings were done to benefit MNCs to excavate bauxite in the Visakha agency. They said the TDP government had been trying to set up as many as 100 BSF camps and more than 100 cell phone towers even though the people are opposing it. Serious attempts are being made to throttle the one-and-half-decade old bauxite agitation and one-decade-old agitation against coffee plantations, the press note said.The naxals recalled that the two persons who were killed at Puttakota on February 23 in an alleged encounter with security forces were not Maoists but innocent tribals from Odisha who had ventured into the AP forests for hunting. This was coorraborated by a fact finding team of human rights activists who visited the village in Odisha and spoke to an injured survivor of the incidnet. The naxals also charged the security personnel with beating up a tribal youth and branding him as a naxal sympathiser in the first week of April. Further, in the recent past, around 24 tribals of Jerrela area were put behind bars under false charges and another 12 families vacated the village due to attacks of the security forces leaving behind two fertile crop lands, the naxals alleged.